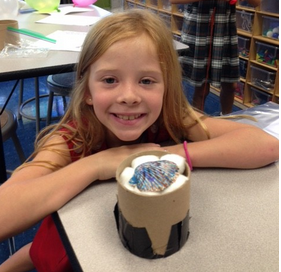 In Global Storybook Engineers, students read fairy tales and then engineer solutions to help rescue the characters. In Global Storybook Engineers, led by McGehee Science teacher Renee Yeaton, Kindergarten through second graders combine literature with engineering to design and build solutions to problems encountered in their reading. For example, they recently read Tomie dePaola’s Strega Nona and then constructed a barrier that would have saved the town from an avalanche of pasta! Their partners at NicaPhoto in Nicaragua follow the same curriculum, and then the two groups of children exchange video messages to share design ideas. 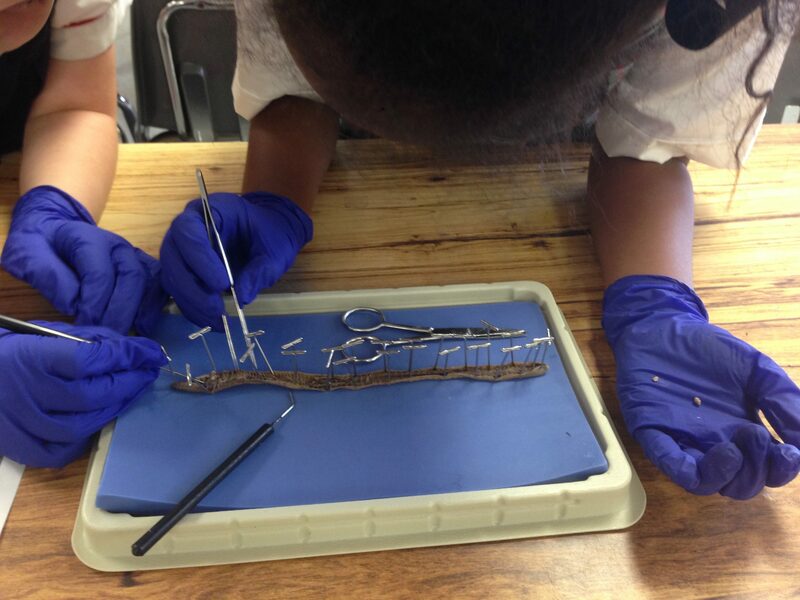 In two sections of Global Doctors: Anatomy, both led by McGehee Science teacher Annie Tete, girls in 3rd-5th grades and 6th-8th grades are exploring anatomy and physiology through hands-on dissections of earthworms, frogs, sharks, and more. They then share their experiences with their global partners at Mayar in Karachi and Pioneers Baccalaureate Schools in Nablus. 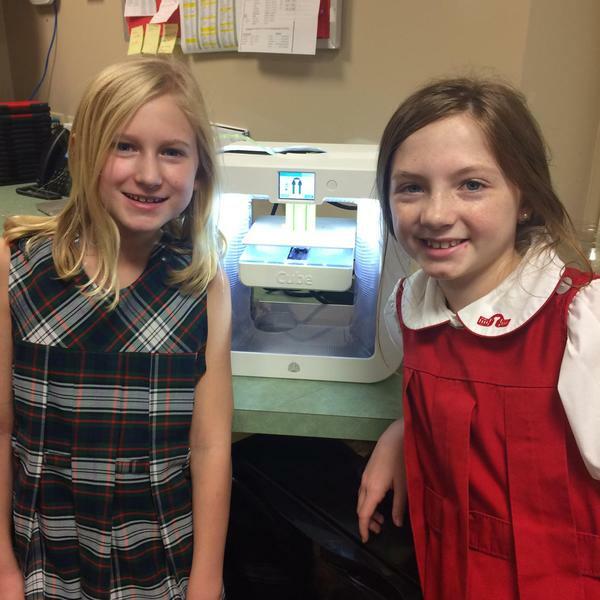 In my Global Inventors/3D printing class, 3rd and 4th graders are using CAD (computer aided design) software to invent a product that would solve a problem either for themselves or for their global partners. They then share their designs with their global partners at Uganda’s oldest girls school, Gayaza High School. Students are not only learning about the design and engineering cycle, but are also learning from their new friends about Ugandan culture and traditions. It is difficult for me to tell which the girls in my class like better: inventing in 3D or talking with their partners about their ideas! Two girls in LUV’s Global Inventors course at McGehee come by to check on the progress of their 3D prints. Level Up Village’s courses are a natural fit at McGehee. We like the fact that by partnering with Level Up Village, we are directly sponsoring Global STEAM education in developing countries through LUV’s “take a class, give a class” model. Moreover, students involved in these courses are able to develop 21st century skills through hands-on science and engineering projects. The global component of this program is especially exciting and gives students the extraordinary opportunity to work together with their partners, while simultaneously learning about daily life in the developing world in a personal and meaningful way. Margaret Ann Minihan: Margaret is the Director of Technology at Louise S. McGehee School in New Orleans, LA.